My laboratory focuses on understanding why some infections are not cleared from our body, but persist within cells. These are called chronic infections. HIV, hepatitis B virus (HBV) and tuberculosis are three globally significant chronic infections. Together they cause more than five million deaths globally each year. There is no cure for HIV or HBV. Antibiotic resistance is increasing in the bacteria causing tuberculosis. New therapies that control or cure chronic infections are urgently required. Our research is revealing how microbes sabotage the processes that normally eradicate infections. Our goal is to discover and deliver new therapies that can promote clearance of chronic infections. Our research is focused on understanding host-pathogen interactions. We are particularly interested in defining the impact that intracellular pathogens have on host cell signalling, cell survival and cell death molecular pathways. The aim of our work is to manipulate host cell signalling pathways to preferentially promote clearance of infected cells and thereby eradicate chronic infections. Our work spans the broad areas of basic, translational, pre-clinical, clinical and ‘in the field’ research. Our goal is to develop novel therapeutics and interventions that mitigate morbidity and mortality associated with chronic human infections including HIV, HBV, tuberculosis and human herpes virus. Could this be a cure for hepatitis B? Our scientists have found a potential cure for hepatitis B virus infections, with a promising new treatment proving 100 per cent successful in preclinical models. Our research has led to a potential new treatment that kills cells infected with hepatitis B. 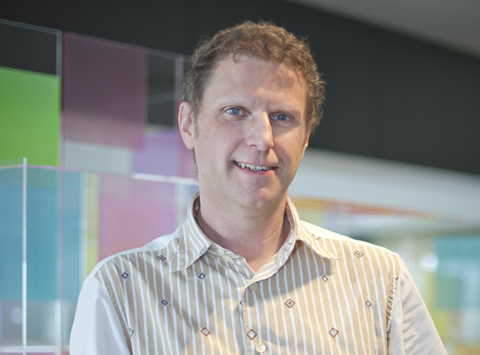 Professor Marc Pellegrini interviewed on 3RRRFM radio about superbugs.